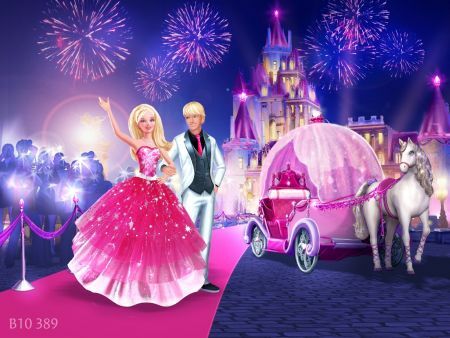 Barbie: A Fashion Fairytale was produced in 2010. A good movie, it's more aimed at 9-20 year old girls as 3-7 years old girls might not get the fashion theme. Your kids will enjoy clothes and magic scenes. Its another good addition to the Barbie collection. The characters are interesting, would highly recommend it to everyone. How to Watch Barbie: A Fashion Fairytale (2010) Barbie Film For Free No Download, No Surveys and 100% Free? Click on the arrow button at the far bottom-right corner of the video player (stream) to play Barbie: A Fashion Fairytale full film at full-screen size. Please let me know via comments if the stream is working or not. 56 Responses to "Watch Barbie A Fashion Fairytale (2010) Movie Online For Free in English Full Length"
:) I hope you all like the movies I post here. Have a great week everyone. Could you please add frozen and thanks for all the movies they are great! Keeps stopping multiple times! Please fix! This movie is so nice! Thanks i love fashion and barbie soo much i idolize her. I love watching movies in your site more power guys. They're removing all the movies on this blog! >:( WHY DON'T YOU FIX THIS UP!!! I love this website! What great site to watch all the barbie movies! DUDDEE, this thing wont work only ! If you don't want the movie to buffer you should try to pause it for about 5 minutes before playing it. It works with all the movies on this site. How about you all stop complaining? Admin does this for our benefit and all you can do is bother/insult them? You should be thanking them wholeheartedly for uploading this! It's not Admin's fault that your internet is slow and can't buffer a video properly.